SPC Development set about the development of land off Princess Road in Kirton back in 2004. The development began by purchasing two existing cottages and two existing bungalows, as well as their rather large grounds and gardens. A strip of land was also purchased to the East of the proposed new entrance. Once the purchase of the properties and land had completed, demolition commenced of the two existing cottages on Princess Road. This demolition opened up the front of the site enabling the new access road to be constructed, which was of tarmacadam construction. The two existing bungalows were then sold as access was now sufficient. The dwellings were built up from traditional strip foundation, concrete filled, foundations with concrete ground floor construction, timber frame super structure, including first floor and roof, with a traditional masonry facade. The range of 2 and 3 bedroom homes presented from terrace through to detached plots combined the traditional, familiar feel of common building techniques, with the modern energy-efficient time saving off site manufacturing route of the frame. 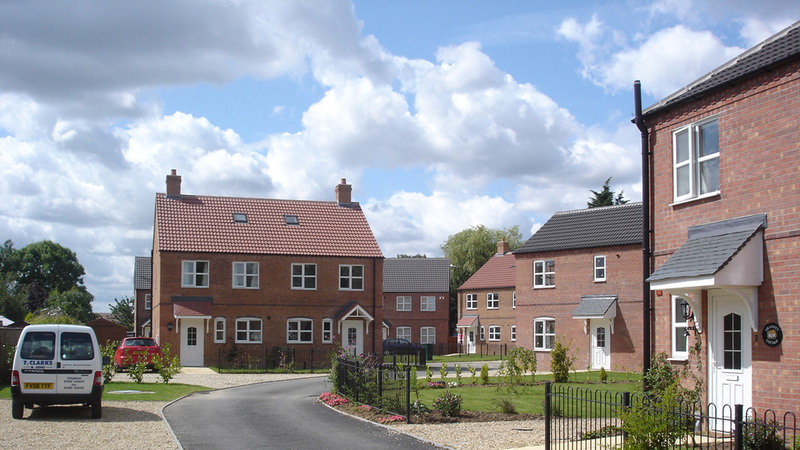 The timber frames enabled construction programme time frames to be reduced whilst increasing accuracy, thermal insulation capabilities and ease of construction on site. The surface/storm water from the new development was discharged into an existing 900mm diameter internal drainage board drain running along the Eastern boundary of the site. This included all runoff water from hard standings, roads and roofs. Due to existing sewer depths and levels the new foul water mains connection from the development needed discharging into a purpose built foul collection and pumping chamber. With the aid of calculations and inspections from Anglian Water, the pumping chamber collects all foul/waste water from the development, and physically pumps it uphill back into the mains sewer on Princess Way. The introduction of this feature means that all properties have the benefit of being connected to the main sewer network without the need for emptying septic tanks which can be expensive and unsightly. Kirton, or Kirton in Holland is a village and civil parish within the Borough of Boston, in Lincolnshire. Situated 4 miles (6 km) form Boston, Kirton is on the A16, B1397 and B1192 south of Boston, near Frampton and Sutterton. Several satellite villages and hamlets take their name from Kirton, including Kirton Holme, Kirton End, Kirton Fen, Kirton Skeldyke, and Kirton Marsh. The village has a secondary modern school called Thomas Middlecott Academy.